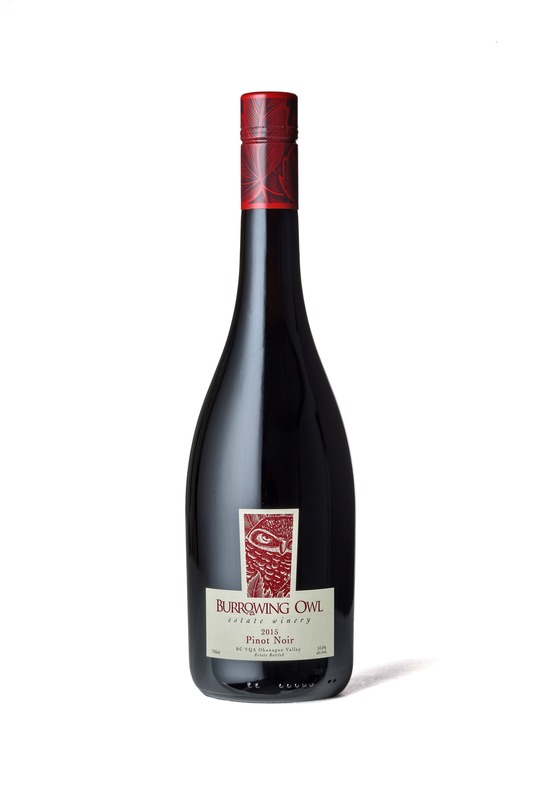 A rich, ripe Burrowing Owl Pinot Noir from the warm 2015 vintage. The nose shows ripe black cherry, dried fig, black forest cake, dark chocolate, vanilla and pretty violet floral notes. The palate is intense and rich with silky tannins and flavours of liqueur chocolate cherries, plum, cocoa and black cherry with some complex liquorice and baking spice. This rich wine pairs well with bacon studded beef bourguignon or with lamb sausages with black cherry jam. Rhys Pender, Master of Wine. 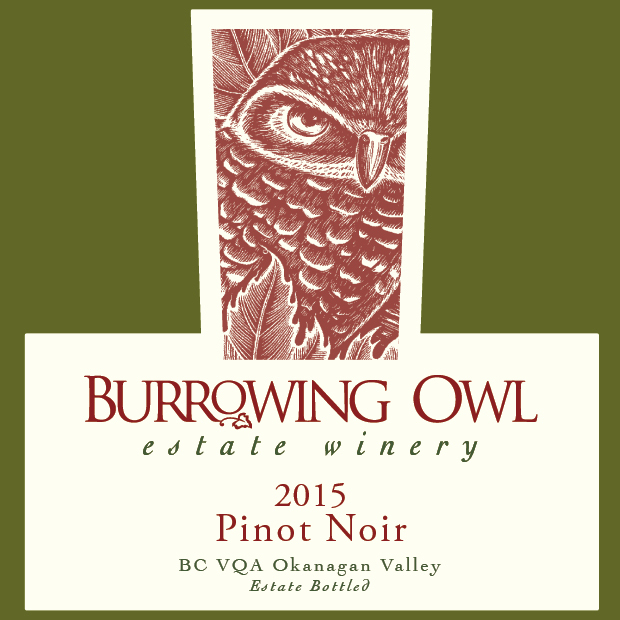 The grapes were handpicked from Burrowing Owl’s Vineyard in Oliver on September 29th. They were hand-sorted, destemmed and slightly crushed before being dropped into stainless steel tanks for the alcoholic fermentation. Strict temperature-controlled fermentation helped retain the Pinot Noir’s delicate flavours. The wine was then pressed and transferred into barrels for malolactic conversion and ageing (13 months). The ageing program, based on French and Hungarian oaks enhances aromatics while adding toasted and spicy notes. During ageing, the wine was regularly racked off its lees; it was then bottled unfiltered.